I am a questioner and a lifelong learner. This may not be surprising, as I started my career as a newspaper reporter. But I’ve come to realize that these aspects of my personality are beneficial to my new life as a small business owner and entrepreneur. I believe to be a successful freelancer or solopreneur, you need to get to know yourself better. You need to understand your strengths and weaknesses. Doing this helped me improve my freelance business. It can help you determine how to improve upon yourself, which can help you build a stronger business while also embracing the appropriate work-life balance for you. The past few months have been full of serendipity. A few years ago, I devoured the book “The Happiness Project” by Gretchen Rubin, embracing Rubin’s effort to make small changes to improve her already happy life. Like Rubin, I have always been a happy, optimistic person, but I believe in striving to improve your life in ways big and small. I was reintroduced to Rubin this year when I discovered she has a podcast with her sister called “Happier” that focuses on forming good habits and implementing happiness in your life. At the same time, I was working with a coach (who became a friend) on changes to MelEdits that would maximize my productivity and efficiency while reducing stress and allowing me to focus on personal pursuits (reading novels again!). Simultaneously, I picked up the book “Quiet” by Susan Cain, which is about introverts—like me—who live in this extroverted country of ours. I also retook the Myers-Briggs indicator test to remind myself of my strengths and weaknesses. You may think all of this self-reflection and knowledge swirling around in my head the past few months might be stressful. Instead, I’ve embraced the information and have had several epiphanies along the way. 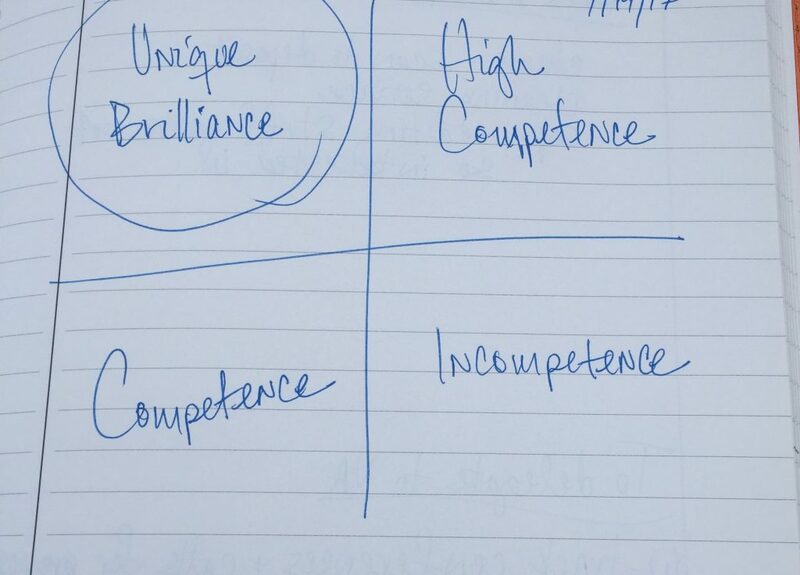 One morning over breakfast, my coach, Leslie Zucker, drew a quadrant and labeled each square: incompetence, competence, high competence and unique brilliance. I confess that my ego succumbed to that last label. Under “unique brilliance,” we made a short list of the type of work that I absolutely cherish. No. 1 was writing, primarily features and profiles. Before talking to Leslie my “solution” to being overworked was to take a few months off from writing. But, as she aptly pointed out, how was eliminating the aspect of my work I loved the most going to help? And after a few months off, wouldn’t I be right back at my stressed level? It did sound ridiculous when she said it out loud. Plus, writing for my clients pays well and is a large chunk of my income. Also under “unique brilliance” was marketing. Much to my surprise, I have embraced the entrepreneurial aspect of my business. I am obsessed with Twitter and active on other social media platforms. I enjoy updating my website and going to career events in the DC area. More than anything, I love attending—and sometimes speaking at—conferences, both for the industry my clients are in and for fellow writers and editors. Conferences mean a break in my client schedule, getting dressed up, often traveling (I love airports) and exploring a new city, plus bonding with people who do what I do and truly “get” it. It’s quite a sight to behold to see hundreds of mostly introverted copy editors at the ACES Conference each spring chatting nonstop at breakneck speed to fellow introverts because we are just so delighted to have found “our people.” This investment in conferences, social media and other forms of marketing is how I’ve built a successful business. You have to spend money to make money. Looking at “competence” helped me realize that a few clients and particular editing projects were distracting me throughout my day, forcing me to try to multitask—which never works. I had never fired clients I actually liked before. But I ended up letting go four clients to free up my day and focus on work that could earn me more money. Because I truly respected and appreciated these clients, I aimed to find replacement editors for them. I connected each client to an editor I thought would be a good fit (and whom I had already spoken to), hoping to create a seamless transition—while helping fellow editors land new work. This “letting go” has indeed freed up my work day to focus uninterrupted for hours at a time, which has increased my productivity, efficiency and creativity. With the help of Leslie and the “Happier” podcast, I also realized that I could improve my energy and stress levels, health, productivity and happiness all in one swoop by taking a walk in my neighborhood every afternoon. Because I live and die by my Google calendar, I scheduled a 3 p.m. walk every weekday. I work best in the mornings, which means by 3 p.m. I hit my slump. I usually want chocolate or a nap or both. Because of this, I try to schedule phone interviews and meetings in the afternoon, which is a good strategy. But I don’t have these commitments every day, and it can be hard to push through the slump while sitting, well slumped, at my desk. So on those days, I take a walk. To be clear, I don’t take a walk every day. But having it pop up daily as a calendar notification forces me to consciously decide to walk or not to walk. On my walks, I purposely don’t think about client work during this time, often preferring to call my mom or listen to podcasts. When I return, I get back to work for a few hours, refreshed and clear-headed. I’ve come to cherish these walks so much that if I’m too busy or super productive at 3 p.m., I’ll often still take a walk after the workday. As for “Quiet,” Cain’s book simply reinforced what I already knew: I’m an introvert. But please know that introverts can be social, even chatty like me, and we’re not all shy. Introverts get their energy from within; people can be exhausting in long stretches. On the flip side, extroverts get their energy from other people. I’ve had to educate more than one extroverted friend on why going to parties where you know few people is on par with going to the dentist for many of us introverts. I’d much rather go the movies, restaurants or travel by myself—or just stay at home reading a good book or binge-watching a TV series with my two cats cuddled up next to me. Being an introvert can make networking excruciating. I’ve had to train myself how to prepare for networking events so I can attend them without dread. And it’s easier for me to give a prepared presentation in front of a room full of people than to raise my hand to ask one question at the end of someone else’s presentation. But I’ve embraced my introvert strengths and discovered how they help me grow my business. I share, but I also listen. Whether it’s at conferences, networking events or one-on-one at lunch, I aim to ask questions and truly listen to what the fellow editor, potential client or local small business owner is looking for. I enjoy sharing my tale and how I’ve found business success and applying it to their situation. I believe in helping others, karma, what goes around comes around … all of it. I try to help others as best I can without letting anyone take advantage of my kindness. Productivity. Efficiency. Creativity. These are goals I strive for as I do work that I love and continue to build my freelance business. By studying and evaluating my own personality tendencies, I have built a more successful—and happier—business for myself. How has getting to know yourself better helped with your career? I really enjoyed this post, Melanie! I love hearing about how others make discoveries about themselves and apply that knowledge to their work and personal lives. Thanks, Dara! I’ve had so many thoughts this summer about improving my business and personal time that I needed to get them all down. I also love having these conversations with other freelancers! Another writer-friend invited me to a weekend professional unofficial retreat at her home. It will be a few writers and we’ll spend the weekend working solely on our own marketing plans. There will be a few group brainstorming and peer review sessions, and lots of solo productive time. Can’t wait! Tara, I’m so glad my post could help inspire you to hire a cleaning service. It’s honestly one of the best things I’ve ever done for myself. My weekends and evenings are much more enjoyable. I also love the concept of batching. I do it occasionally but not as often as I should. Have a great time at your retreat! I’d love to hear how it goes. 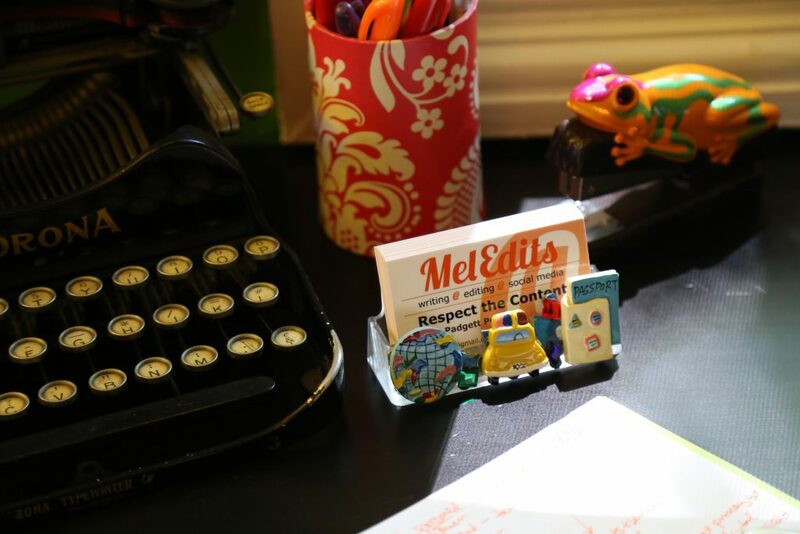 What a great post, and so inspiring Mel! I love how you see the balance of your personal attributes and your professional goals. And I’m a new fan of the Happier podcast – I loved this week’s “Ta-Da” List idea and set it as my intention for work life this week. Thanks, Jen! Oh, I could talk for hours geeking out on the Happier podcast. That ta-da list idea was a fun one. I’m listening to the newer episodes as they come out but I’m also listening to all the episodes from the beginning. I’m in December 2016 so far.